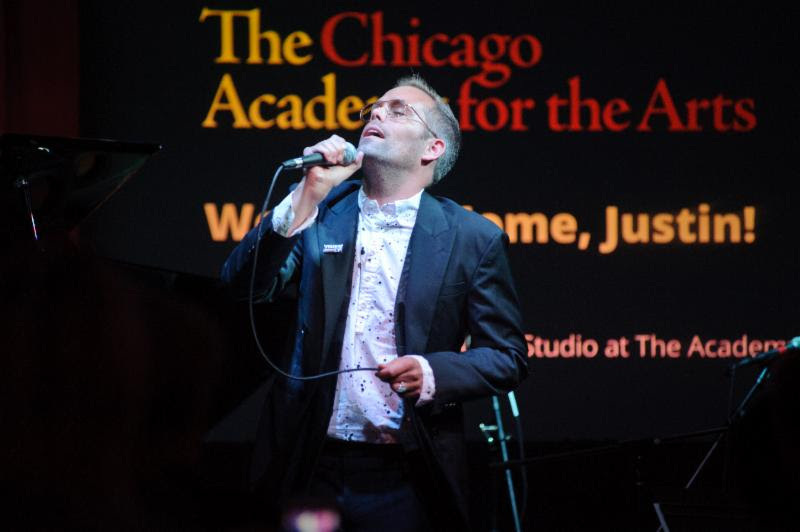 Justin Tranter performs at The Justin Tranter Recording Studio Ribbon Cutting Event at The Chicago Academy for the Arts on September 20th, 2018. 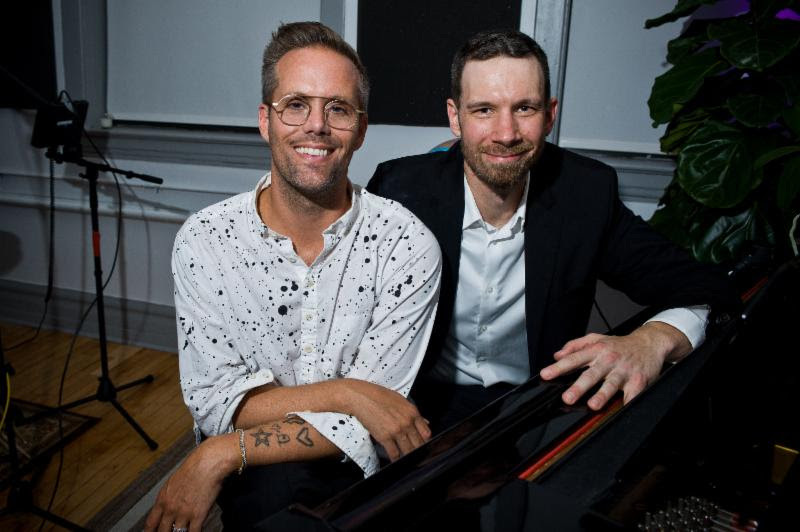 Justin Tranter and Jason Patera (Head of The Chicago Academy for the Arts) at The Justin Tranter Recording Studio Ribbon Cutting Event at The Chicago Academy for the Arts on September 20th, 2018. 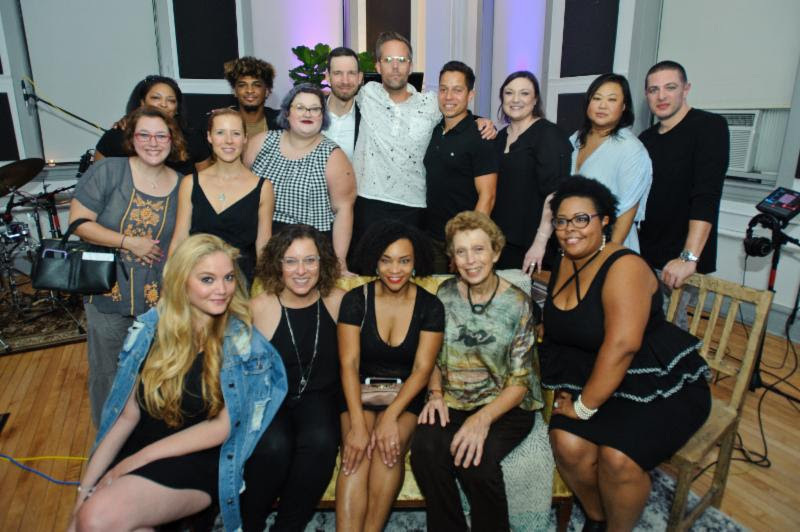 Justin Tranter with members of their graduating class and faculty members at The Justin Tranter Recording Studio Ribbon Cutting Event at The Chicago Academy for the Arts on September 20th, 2018. September 21, 2018 (Los Angeles, CA) – Last night, Golden Globe and Grammy nominated songwriter Justin Tranter returned to the school that saved their life years ago. Tranter made a donation to The Chicago Academy for the Arts to fund a state-of-the-art recording studio and hire a part-time music teacher for the next three years. “The Justin Tranter Recording Studio” was officially unveiled at a celebratory ribbon cutting event at the school yesterday evening with friends, family, current students, and faculty members in attendance. The event featured students demonstrating the studio’s capabilities and inspired speeches from Tranter, Jason Patera (Head of School at The Chicago Academy for the Arts), Rose Colella (Chair of the Music Department at the Chicago Academy for the Arts) and Jack Murray (Studio Manager & Director of Recording Arts and Commercial Music). To conclude the special occasion, Tranter performed several songs alongside present Academy students and a local string trio. This gift funds the conversion of three underutilized rooms, including a classroom and an office, into a cutting-edge three-room recording and production facility. The studio houses a control room, a tracking room and a four-station music production classroom. All of which contain top-of-the-line music software and hardware for the students to use. Additionally, the donation is funding a part-time teacher to lead a “Contemporary Writing and Production” elective course that will debut this fall. For more information on Tranter and The Academy, visit HERE. As a student at The Academy, Tranter also created the AIDS Benefit: a student-run variety show that helps raise awareness and advocacy for HIV/AIDS. The event will host it’s 22nd annual presentation this evening, September 21st, 2018. Since its inception, The Academy students have raised tens of thousands of dollars for AIDS research, support, care and organizations.